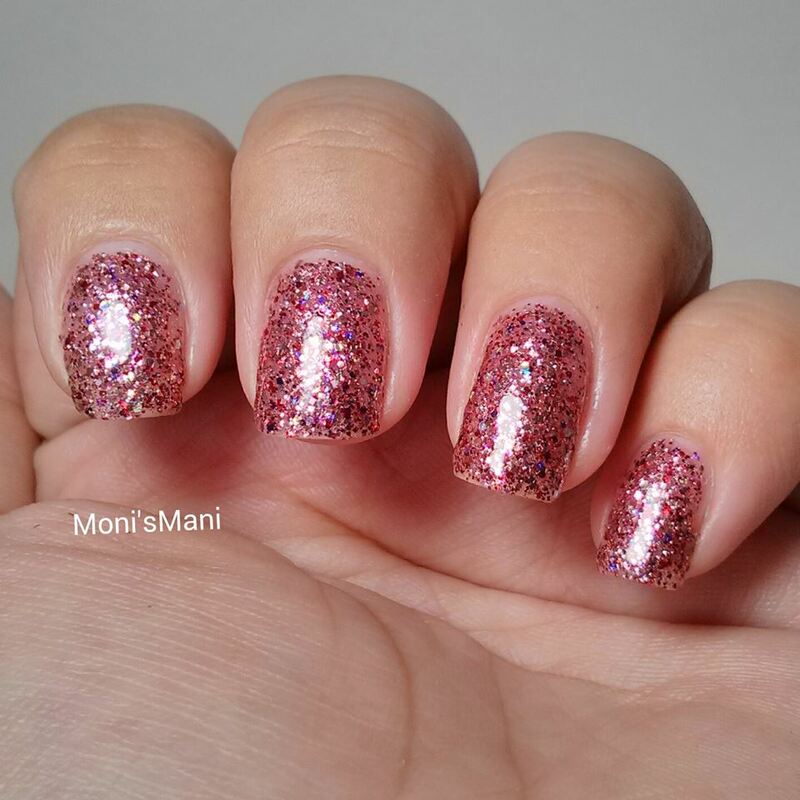 But, of course this is not just pink, this time we’re talking about a pink, purple, gold, clear glitter mixture of different shapes and sizes with a hint of purple nail polish! To die for!! 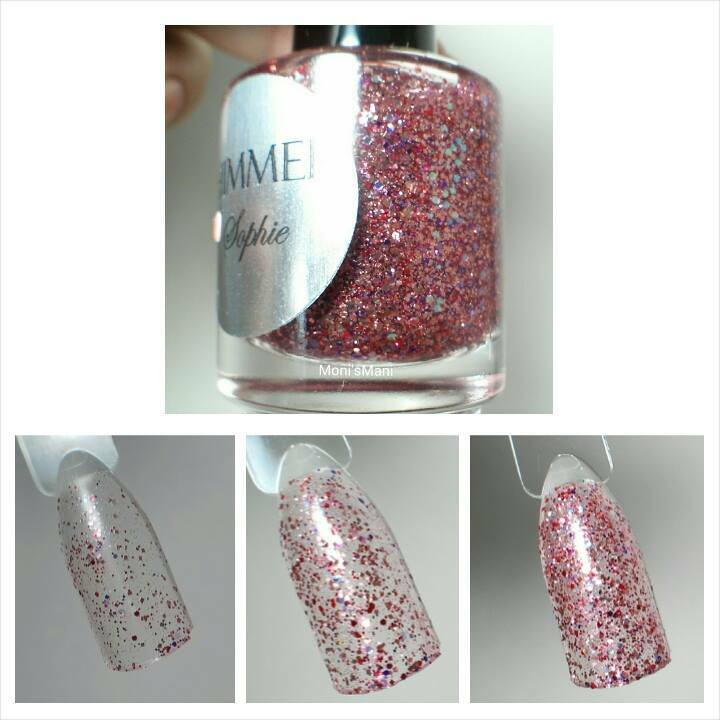 The application is always easy with these polishes and even though they are glitter packed they’re not hard to apply and the glitter spreads evenly. 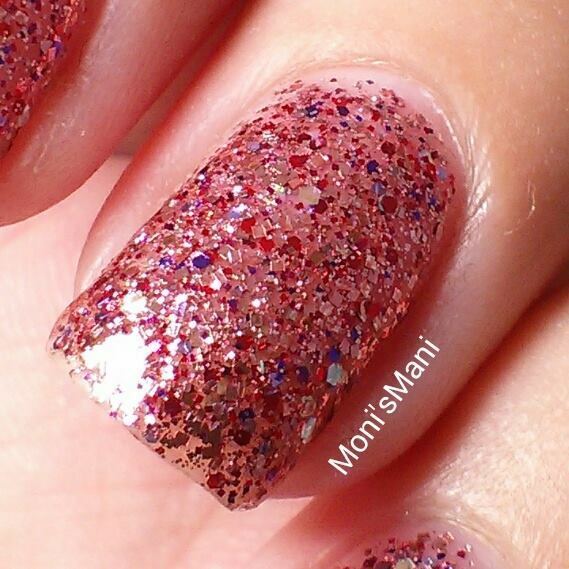 Removal is the same as any other glitter polish but well worth it! So so pretty!! 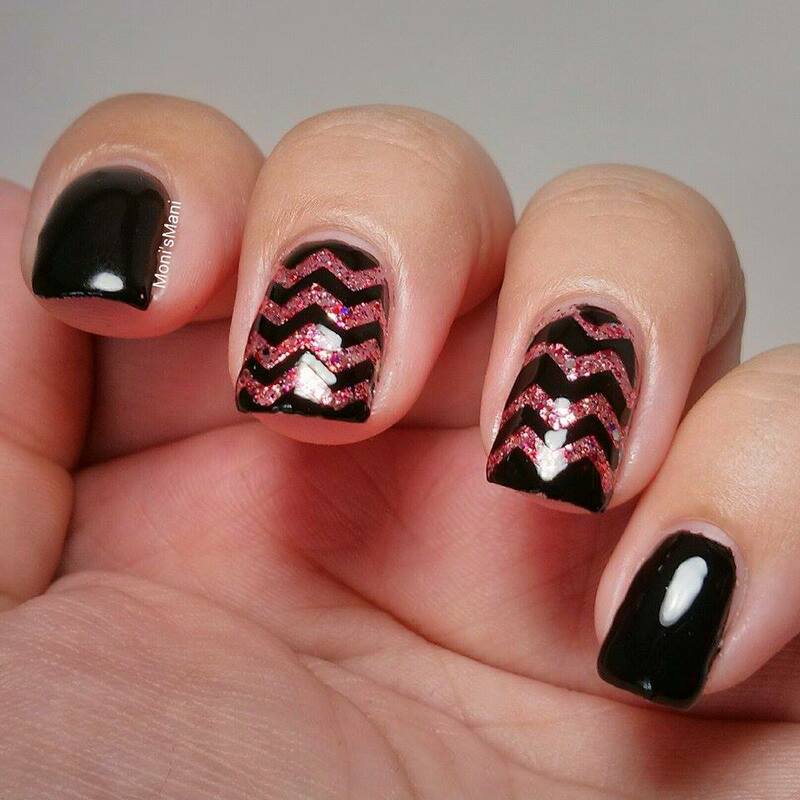 Here is a picture of the polish and one, two and three coats on a swatch stick. 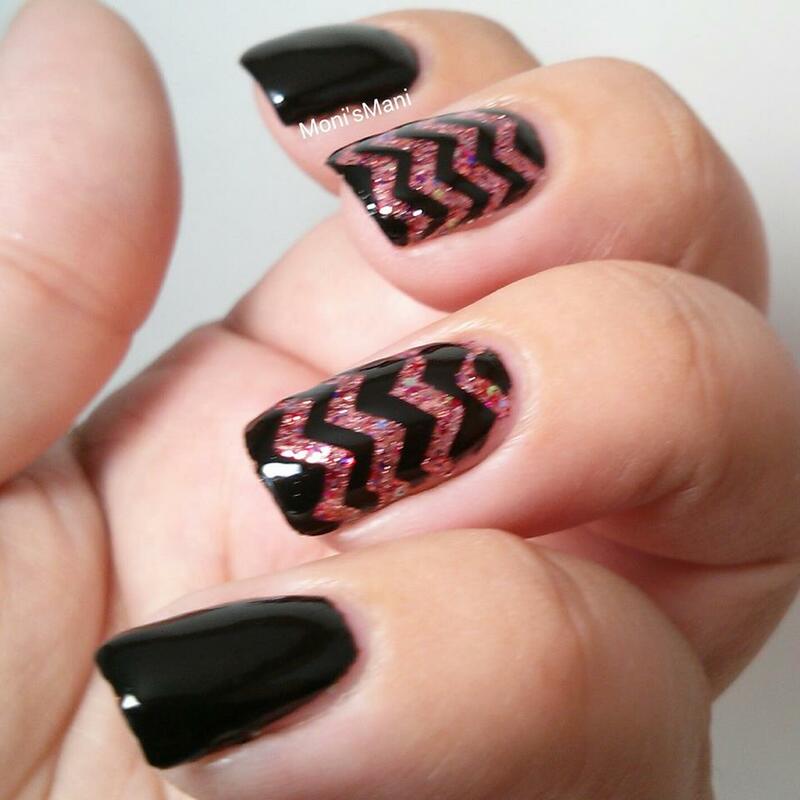 I very much considered leaving them as is but I had just gotten my chevron nail vinyl and I needed to do my first chevron mani so here it is! I usually hate it when a polish need more than 2 coats…BUT (yes, there is a but) some polishes are worth even 4 coats…and this, my darling, is one of them. This is sooooo…I can’t find my words.